Well here come October-there is more to do than you can possibly fit in-We will highlight some of the biggest events for the beginning of the Month-Then Check us out again later in the month of October for the other fun things to do as we wind down to Halloween! This is one of the biggest and best of the year. September 29 thru October 2. We have the best group of girls that come to see us every year for this weekend! Sometimes we have a spot or two open so dont’ fret. Go to https://www.rosevine.com/ and book now. 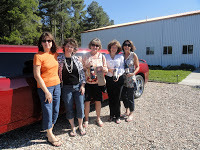 Last year we went on a special trip on Saturday. 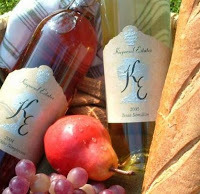 We went “Winery Hopping” on Saturday. couple of pictures of our adventure! 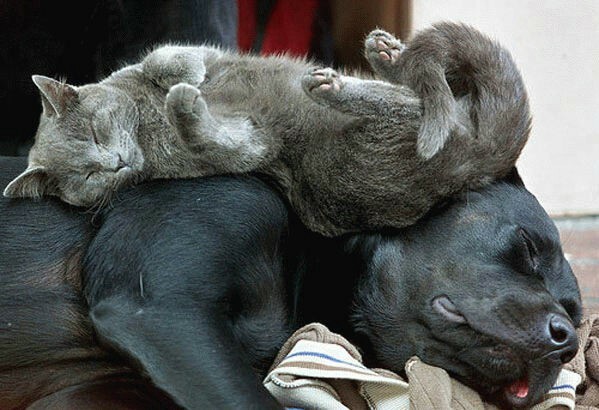 If you think you may want to do something like this, we can help you with the arrangements. 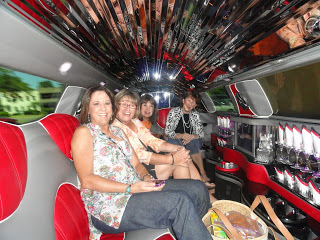 Oh, here is a shot of the inside of the Limo!! We mentioned this on the last blog but———-It is Fair Time in East Texas! The 96th Annual East Texas State Fair, September 22 thru October 2, 2011 at the East Texas Fair Grounds in Tyler. Advance tickets go on sale Wednesday August 31,2011. The 96th East Texas State Fair will open its gates Thursday, Sept. 22 through Oct. 2, for 11 days of fun, food, and friends in Tyler. The East Texas State Fair has everything from swimming pigs to sand sculptures! Don’t miss this nearly century old celebration in East Texas! If your taste buds have been craving some delicious fair food, you won’t have to wait much longer! Fair food will be on tap for 11 days. Whether you like fried food, food on a stick, or funnel cakes you will not be disappointed. 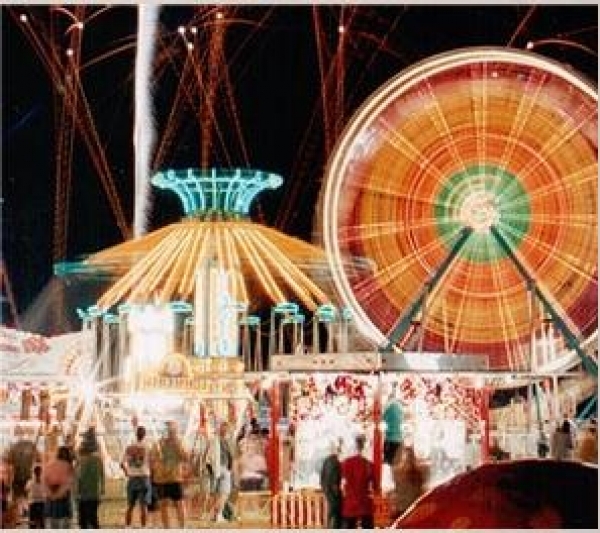 The East Texas State fair will also host a variety of entertainment. The stage will be rocking with something for everyone this year! Competitions at local Fairs are a long held tradition, from longhorns to quilting to photography. Enter or watch one of the many competitions at the east Texas State Fair. Haunts of Four Winds Look on down in the blog for more info! Dozens of artists fill the buildings and outdoor spaces of Downtown Tyler with art, dance, music and interactive arts activities. Time: 4-8 p.m. On the Square in Downtown Tyler. This Lots of fun. We try to go every time!!!! Huge Garage and Bake Sale-maybe stay in Tyler and shop on Saturday!! Our Saviour’s Lutheran Church, (4900 Kinsey Drive, Tyler, 75703) will be having our 3rd Annual Garage Sale on Saturday, October 1st from 8:00 AM to 2:00 PM. There also will be a Bake Sale sponsored by the Lutheran Church Women, a Boutique sponsored by the Quilters and Lutheran Church Women, and the Quilters will be raffling two Baby Quilts. The proceeds from this sale will be split between Meals On Wheels and Our Saviour’s Lutheran Church. Contact Nancy at 903-825-7430 or www.nctyler@aol.com. 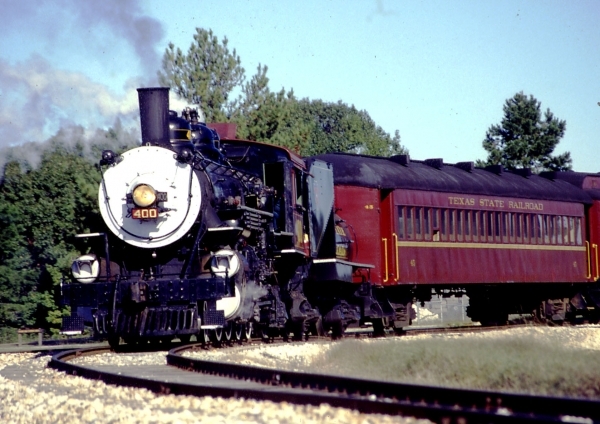 Looking for a fun way to celebrate Halloween, then come to the Texas State Railroad with the kids and have a great time with Snoopy at the pumpkin patch. Meet Snoopy, pick your own pumpkin, visit trick or treat street & more!Tickets are on sale now! Tickets Coach: $20 Child (ages 2 -11) and $40 Adult. NEW! Lone Star Class: $45 Child (ages 2-11) and $69 Adult. We did this last year—It is lots of fun!!! 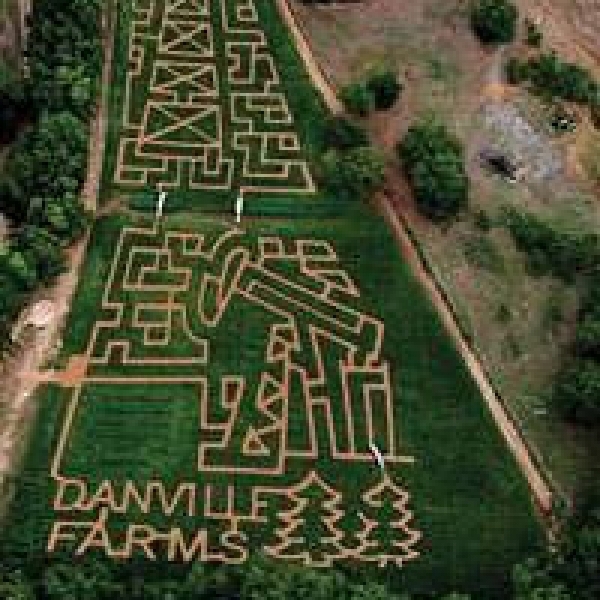 Come out this Fall to The MAiZE at Danville Farms in Kilgore, TX just off the new Hwy 259 Bypass near Danville Rd for a Fun New Family Experience! The MAiZE will feature a 5 acre Corn Maze to get lost in as well as the “Corn Popper” Jumping Pillow, Hayrides, U-Pick Pumpkins and Ornamentals, Duck Races, a Corn Box for the little-ones, Barrel Train Rides, Skywalking Goats and other Farm Animals and much more! Lots to Do! Fun for the Whole Family! Come out and Have an Exciting Memory-Making Day at Danville Farms! 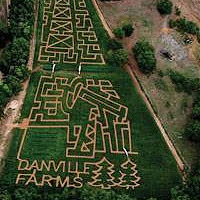 For more information, got to www.DANVILLEMAiZE.com. Phone: (903) 218-4628 Email: danvillemaize@gmail.com. Cost: $10.00 per person, Kids 2 and under are FREE. Pet Fair and Open House attractions: Pet costume contest, Free Hot Dogs and Rootbeer floats. Vendors: Friends of Skid Book in Action, Southern Maid Band, Dogs Against Drugs, Tyler Obedience Training, Adopt-A-Pet from Henderson Humane Society. Feel the presence of family members who once lived here through character actors as they breathe life once again into this fine old turn-of-the-century home. $10 per person (special rate of $7 per person for groups of 10 or more). Bring your family for a fun day at the farm! Pick your own pumpkin or stroll through meandering paths but through the cornfield maze. Pictures, farm animals and more! $8-10 per person including pumpkins. Tow rounds of 18 holes with one hour break between rounds. All players will receive a players package. Gardening Conference and Bulb & Plant Sale sponsored by SCMG and Texas AgriLife Extension Service. Gardening topics of interest to home gardeners and sale of reliable and adapted bulbs and other choice plants. The 1859 Goodman-LeGrand House and Museum will host a “Rose Festivals of Yesteryear” lecture series and a special exhibit representing the early years of the Rose Festival and past Rose Queens. The lectures will celebrate Tyler’s Rose Season and focus on festivals of the past. 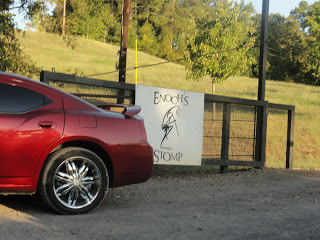 The museum is located at 624 N Broadway Ave. Tyler, TX 75702. 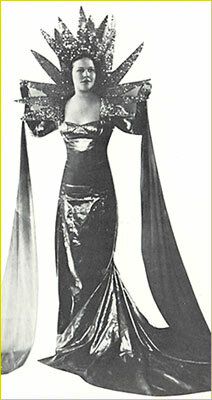 For more information call Patricia Heaton at (903) 531-1286 or visit the museum’s website at www.goodmanmuseum.com. Celebrate the Rose Festivals of days gone by and join us for special lecture given by past Rose Queen, Jill Ramey, at the Goodman-LegGrand Museum. Also, historical presentations and tours of this lovely old Southern home will be given in between lectures. Children 6-9 will compete in a tour of the Rose Garden about ¼ mile. We will have other great fun for all the kids before and after the run. Parents and kids can attend the Tyler Rose Expo afterwards. Come see local and out-of-town firefighters compete in five exciting team and individual challenges. This family fun event offers a kids’ course for the younger children to practice their skills. Broadway Square Mall, parking lot area south of Sears. Festival on the Square, Downtown Tyler. Texas Music concert under the stars and on the brick streets of Downtown Tyler. Gates open at 5:00pm ; music begins at 5:45 p.m. and continues until midnight. Cost: $15 advance; $20 at the gate. On the square in Downtown Tyler. The Tyler Rose marathon will start and end in the Rose Center in Tyler. The course will be open for 6 1/2 hours. This allows walkers to compete at a 15 minute per mile pace. It does not allow for long stops. We would appreciate all to meet course time limits. 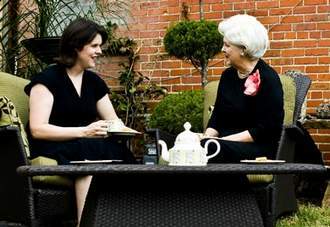 Elegant four course tea of fruit, scones, finger sandwiches and desserts. 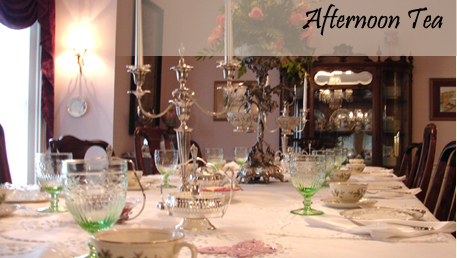 Tour Historic Roseland Plantation and Hambrick House following the tea. Reservations required. $39 per person. 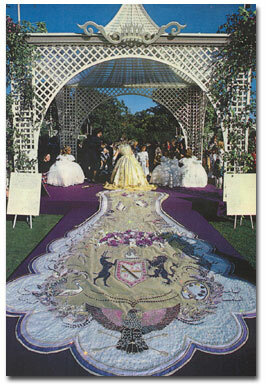 The Texas Rose Festival Coronation dress designer, Winn Morton, will explain the origination of the dress designs and their creation. Mr. Morton is a nationally recognized set and costume designer for Broadway, television, national entertainment venues, and regional and local arts. “Show Us Your Shorts” Downtown Tyler Film Festival. Featuring comedic short films shown in the newly renovated Liberty Hall in Downtown Tyler. Tickets $7.50 in advance; $10 at door for Thursday-Saturday. Wednesday opening gala $50 per person. 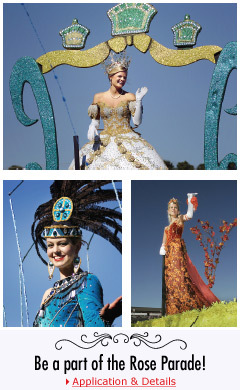 These are events for the Texas Rose Festival in Tyler October 13-16 2011 Come and Enjoy!!! Presented by Tyler Area Garden Clubs. Creative and inspirational table displays. Free and open to the public. This self-guided tour of floats being assembled for the Rose Festival Parade is free and open to the public. Enjoy a walk in the Tyler Rose Garden and shop with over 70 various arts and crafts vendors selling only handcrafted items, and rose bushes and fall plants for sale by local growers. Free admission to Arts & Crafts Fair. Kids Zone and Carriage Rides for a fee. 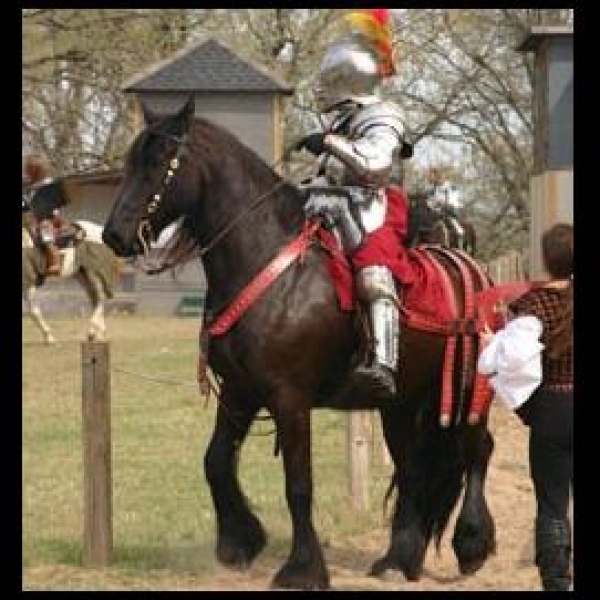 Haunted castle, haunted hayride through a haunted village and a hike down a Black Forest Trail. Admission for all three attractions, $12 of $5 per attraction. Rides, food and games extra. Celebrate Old West gambler, gunfighters and saloon girls with Jules Vern technology. It’s the 1800s as they might have been. No food or drink may be brought in. You must be 21 to purchase or consume alcohol. 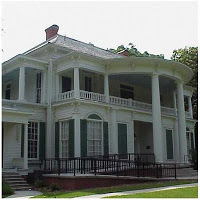 The 1859 Goodman-LeGrand House and Museum is hosting their annual “Tyler’s Old Rose” Open House. 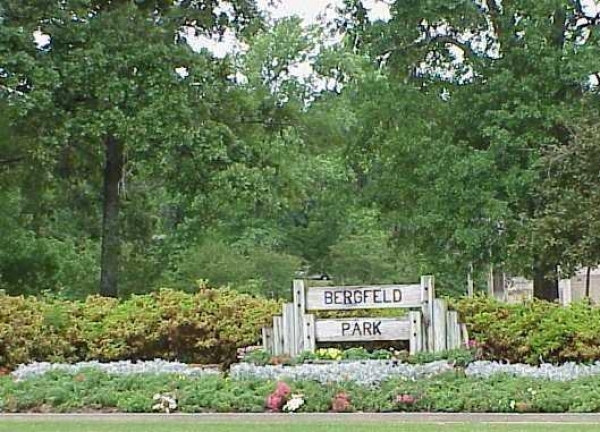 The tour will feature re-enactments, music, Rose Belles and tours of the Chamblee Rose Garden, the first EarthKindTM botanical garden located in LeGrand Park. 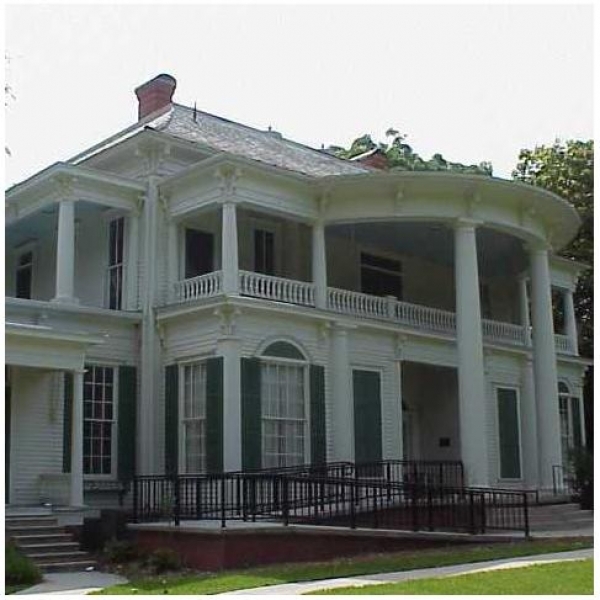 Admission is free and the museum is located at 624 N. Broadway Ave. Tyler, TX 75702. 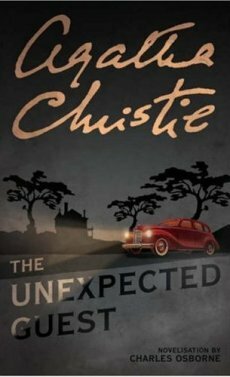 Live stage production of a classic Agatha Christie mystery full of twists and turns that will keep you guessing to the very end. The romantic Broadway musical for all generations, Disneys BEAUTY AND THE BEAST, the smash hit Broadway musical, is coming to Tyler! Based on the Academy Award-winning animated feature film, this eye-popping spectacle has won the hearts of over 35 million people worldwide. This classic musical love story is filled with unforgettable characters, lavish sets and costumes, and dazzling production numbers including Be Our Guest and the beloved title song. Experience the romance and enchantment of Disneys BEAUTY AND THE BEAST at the UT Tyler Cowan Center! The SCMSA Book Fair has been an outstanding fundraising idea started in 1968 under the leadership of Lillie McNeal. It is the primary fundraiser of the Smith County Medical Society Alliance and the profits go toward health careers in the form of scholarships for students at TJC and UT-Tyler. 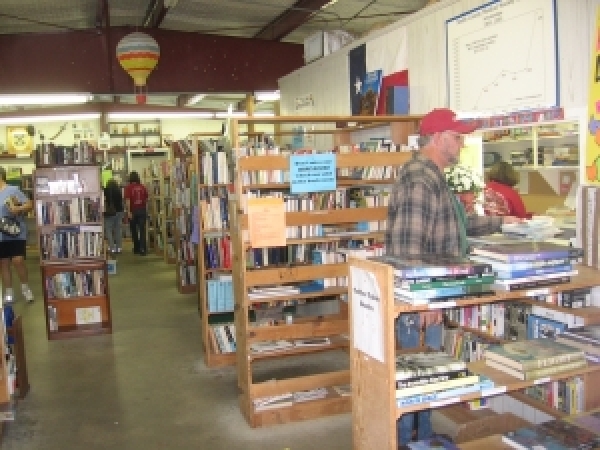 Our building is crammed with thousands of books and volunteers that clean, sort and shelve books year round. We accept the donation of used books year round. The donations can be left on the shelves outside of our building. Contribution forms are available. Apache Rooms, Rogers Student CenterThe TJC Alumni Association Homecoming Awards Dinner/Dance will be held on Friday, October 28 at 6 p.m. in the Apache rooms of Rogers Student Center on the main campus. There is no charge but please RSVP by October 24 by contacting Nicole in the Alumni Office at (903) 510-2588 or ndur@tjc.edu. This year’s honorees are: June Murphy,’54 Retired TJC Nursing Prof., Distinguished Award Jim and Margaret Perkins, College and Community supporters, Black & Gold Award Shirley McCorkle,’52~Former Apache Belle/TJC volunteer, Apache Spirit Award and Mary Jane McNamara,’42~Retired TJC/Tyler Librarian/Historian/Community Volunteer. On Saturday, October 29, the Tyler Junior College Alumni Association invites all alumni members to join them for a Homecoming Barbecue Tailgate party at the TMF Rose Stadium Parking Lot from 12:30 pm – 2:30 pm. There is NO CHARGE FOR ALUMNI MEMBERS, $10 for guest(reservations are required). And then stay for the Big Homecoming Game–at 3 pm the Apache Football Team takes on Kilgore College (alumni members free). HUEY LEWIS AND THE NEWS have been defying the rock oddsmakers for three decades. 2009 marked the group’s 30th anniversary! Formed from two rival Bay Area bands in 1979, their contagious brand of straight-ahead rock’n roll has outlasted countless trends, selling over 20 million albums worldwide in the process. HUEY LEWIS AND THE NEWS have carried the banner as the quintessential American rock band, endearing them to millions of fans and earning them the right to mark their place on the pop history map. In this concert, they will perform their hits and selections from their newest CD release, Soulsville, including Respect Yourself and Got To Get You Off ! My Mind. YOU ARE PROBABLY TIRED OF READING ALL OF THE THINGS GOING ON IN OUR TOWN IN OCTOBER. 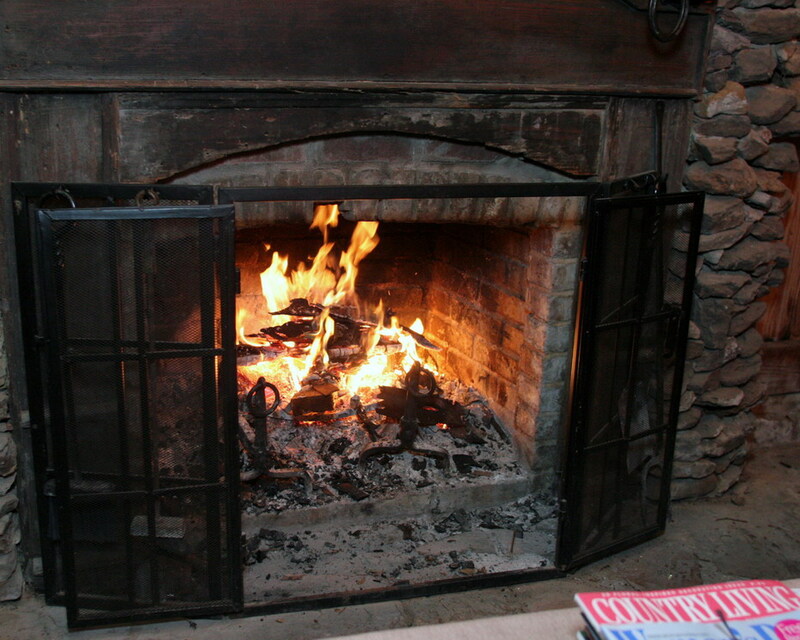 THE BEST THING GOING ON IS THE ROSEVINE INN ! 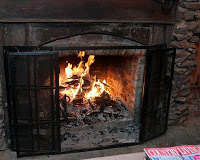 SO COME AND VISIT US SOON WHERE FIRES BURN NIGHTLY AND BREAKFAST IS SERVED DAILY. HAVE A GREAT HALLOWEEN AND DON’T GET TOO SCARY!!!!!! 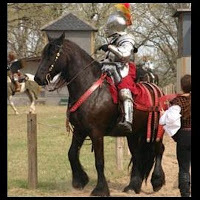 This entry was posted in Uncategorized and tagged Canton Trade Days, Cowan Center, East Texas Symphony, Music in East Texas, Rosevine Inn, Shopping, Texas State Railroad, Tyler Civic Theatre, Tyler Rose Garden, Tyler Things to do by admin. Bookmark the permalink.